The Samsung Galaxy Note 9 will be unveiled on August 9th during Samsung's next Unpacked event taking place, ironically, in the Big Apple. We expect to hear that the device will be launched on August 24th. Most of the specs have already leaked out, as has word about an updated S Pen that will offer some new capabilities thanks to the inclusion of Bluetooth LE connectivity. 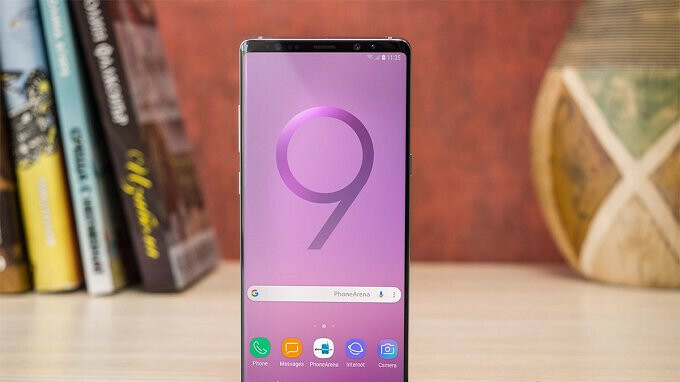 Pictures showing components that allegedly will be found inside the Galaxy Note 9 have surfaced on the website of an online repair shop. This store supplies parts to phone enthusiasts who like to tinker with, or fix, their own handsets. These images include the Galaxy Note 9's front-facing camera, dual camera sensors for the back of the device, the proximity sensor, and the charging flex cable. A couple of the components are branded with the SM-N9600 model number of the Samsung Galaxy Note 9. You can check out all four components by clicking on the slideshow directly below. Just ok hardware. Same like S9 plus with pen. Yaa just as how iPhone 8 is 6sssss. S and Note series are two different class. It's not for S9+ users... it's for Note 8 (or others) users who wants to upgrade. The differentiator is not the pen, but the lage 4000 mAh battery. Note 9 has a noticeable difference in battery size. 128gb storage is double s9. Speaking for myself. I don’t value the S-Pen or Note-pioneered software features. The only advantage the Note 9 has for my tastes are often the slightly refined design language. But that’s not enough for me to buy outside of the Galaxy S cycle. I care more about having cutting-edge hardware in the beginning of the year. The Note just largely borrows parts from the older S devices anyway. Samsung should release the Notes before the S phones each year to pizz off the whiny idiot S phone fanbois that pettily diss the Note for being newer yet not having a better CPU than the S. Fk up their world by making the S the newer phone with "old" hardware, that'll teach em!